I'm trying to finish off some sock wips before starting on a new pair of monkeys! 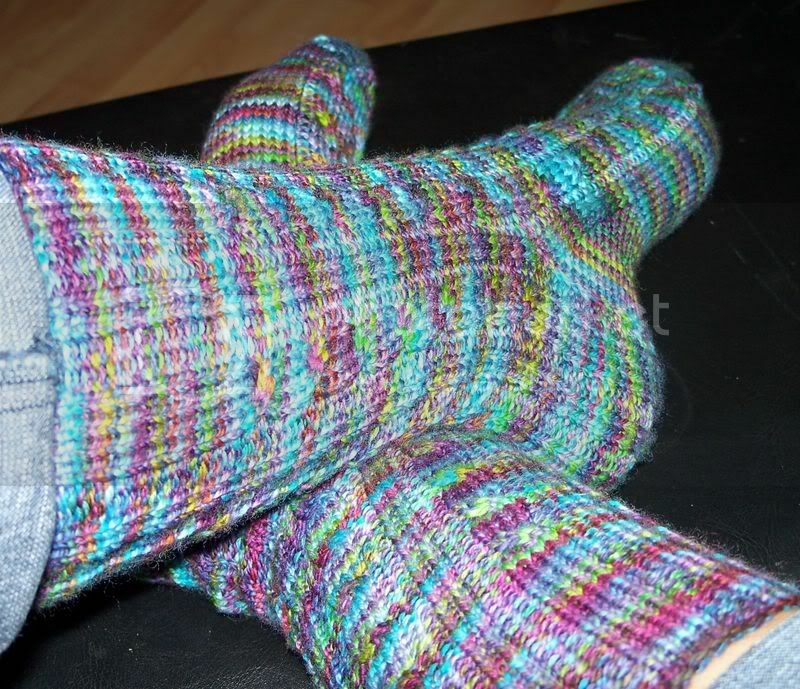 These are the second pair of Rib and cabled socks I've made from the fall 05 IW pattern by Nancy Bush. Great pattern & yarn, currently not in my stash. That might have to be resolved! Oooh, lovely socks! I really like the Lucy Neatby Celestial yarn - I used some for a Chevron scarf and it came out brilliantly!